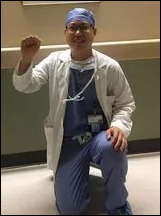 Walker says doctors are too often credited with innovations that were actually invented by nurses, such as feeding tubes, hospice care, and hand sanitizer. 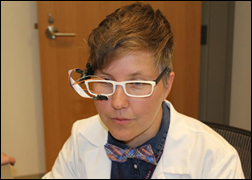 Walker’s own inventions include glasses that measure fatigue in cancer patients, a machine that turns water into IV fluid in disaster zones, and a device that measures chemotherapy toxicity. Her background includes working as a rural EMT, volunteering with the Peace Corps, and oncology nurse certification. She serves on the steering committee of Center for Personalized Health Monitoring, with her interest being using smartphone-connected wearable sensors rural areas that don’t have broadband access. From Cosmos: “Re: pre-existing conditions. Please comment on this news item if you would be so kind.” The Trump administration says its Department of Justice will no longer legally defend the ACA requirement that insurers offer the same coverage and premium price to everyone regardless of their medical history, threatening the guaranteed insurance coverage of somewhere between 50 million and 130 million people with pre-existing conditions. The challenge of 20 conservative states isn’t likely to succeed since Congress explicitly retained the pre-existing requirements (probably because voters would have reacted negatively otherwise) and there’s also the tricky legal footing involved with the White House ordering DOJ to selectively defend and enforce only the laws it likes. Regardless of this announcement, it’s going to be a new financial world for providers as the rate of uninsured patients goes up because of ever-increasing premiums, lack of companies willing to sell policies to individuals or to those with a history of illness, the sale of junk policies riddled with coverage exclusions, and the realization by many people that they might as well drop their expensive insurance and go without because they don’t have the money to even hit their deductible before insurance starts helping. US healthcare just keeps getting uglier in its transition from charitable human endeavor to big business to political weapon. Insurance companies were most identified by poll respondents as being responsible for high US healthcare costs, with drug and device vendors coming in second and health systems a distant third. Readers noted the lack of regulation over insurance companies, employer-provided insurance that separates patients from payments, aging Baby Boomers, poor lifestyle choices, and a society willing to spend big on delaying death. New poll to your right or here: will Athenahealth be a better company without Jonathan Bush as CEO? Vote and then click the poll’s “comments” link to explain why you think so. I’ve been happy with the IPad Mini 2 that I bought in late 2015, but it had lost its snap in sometimes locking up on web pages full of crappy ads and videos and it was finicky about its WiFi connection, not to mention that it seemed to be shrinking the more I enviously saw people using larger ones with shockingly crisp displays. 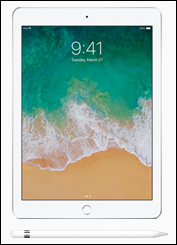 My decision was made when I ran across Apple’s GiveBack trade-in program, in which they gave me $90 toward the $329 cost of the 32GB IPad 9.7-inch model, which I can confidently say is the best value among all tablets for 95 percent of people. I’m happy in every respect so far, especially since the Mini originally cost me only $199 at Walmart. My Apple Store experience, unlike my last visit, was stellar – I was greeted quickly, my salesperson walked me through the transaction in a friendly and efficient manner, and I got to hang out with the cool kids at the “setup table” as they made sure my ICloud restore worked (which it did, flawlessly). I’m happy it uses the same Lightning connector and mini headphone jack so that I don’t need to buy anything else other than a case. I gained a new appreciation for marketing and PR folks after reading their responses to “What I Wish I’d Known Before … Working in Public Relations or Marketing,” which should be mandatory reading for C-level executives and salespeople. This week’s question will be more serious as I try to make sense of the death of Anthony Bourdain. Your responses are anonymous and may help someone. 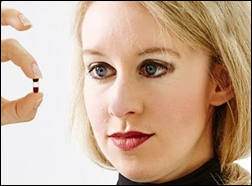 WJS reporter and “Bad Blood” author John Carreyrou provides a couple of new tidbits about Elizabeth Holmes. He says she believes Theranos employees were responsible for the company’s problems and that “she sees herself as sort of a Joan of Arc who is being persecuted.” Amazingly, Holmes is apparently pitching a new startup idea (hopefully not healthcare-related) to potential investors who must certainly be out of their minds to even listen. Garfield County Memorial Hospital (WA) will replace its NextGen ambulatory EHR with Athenahealth in September 2018. Pickens County Medical Center (AL) will go live with Cerner by fall 2018. Fillmore County Hospital (NE) will go live with Cerner in October 2018. Newly formed Lancaster, PA-based accelerator Smart Health Innovation Lab will offer a 12-week certification program for validating new healthcare technologies and integrating them into clinical workflows. 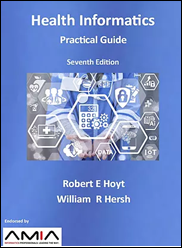 A federal judge certifies as class action a 2012 lawsuit brought by a nurse practitioner against the VA that claims that NPs and physician assistants are required to work unpaid overtime to monitor its View Alerts patient updates system. 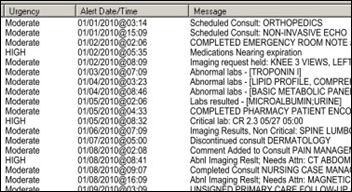 In England, Sandwell Hospital cancels 147 appointments and goes back to paper when an “unplanned internal update” takes several of its IT systems offline. They’re putting their planned go-live on their Unity project (which I believe is Cerner) on hold to catch up on the patient backlog and will freeze IT changes until after go-live. 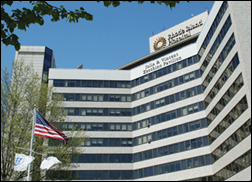 Rhode Island Hospital will spend at least $1 million to improve its patient-order matching process following mistakes in which it performed three tests (a CT angiography, an angiogram, and a mammogram) on the wrong patients and operated on the wrong vertebra of another patient. Among the consent agreement’s requirements is that the hospital give the Department of Health a worksheet listing all of its EHR users and the number of patient records they can open, access, or edit simultaneously, suggesting that a contributing factor was charting orders on the wrong patient because of multiple open EHR windows. A Massachusetts court rules that a pharmacist must alert both the prescribing doctor and the patient when a prescription requires prior authorization, triggered by the 2009 seizure death of a 19-year-old woman who went without her anticonvulsant prescription when Walgreens didn’t send the PA forms to her doctor. A previous ruling had found that Walgreens isn’t responsible for serving as the intermediary between doctor and insurer. In India, five ICU patients die when the hospital’s air conditioning fails. 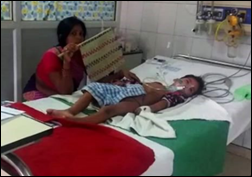 Some families claim that the AC worked, but was turned on only when doctors were rounding. Daily temperature highs in Kanpur reach 105 to 110 degrees. Qventus will exhibit at the Lean Healthcare Transformation Summit June 14-15 in Chicago. The SSI Group will exhibit at the Gulf States ASC Conference June 13 in Biloxi, MS.
Surescripts will host the 2018 Empowering Exceptional Care User Conference June 13-15 in Dallas. Vocera’s Rounds solution wins the Best Overall Patient Engagement Solution Award from MedTech Breakthrough. Philips Wellcentive will exhibit at the NG Healthcare Summit June 13-15 in Houston. Thank you for your insightful commentary on the pre-existing conditions article. This stuff gets complex very quickly!! Digital health/telemedicine is going to be the cheap/low-quality option that serves the masses while high-touch/in-person visits with an actual physician is going to be the gold standard that is expensive in 10 years. You already see this playing out in the wealth management industry and healthcare will be no different.